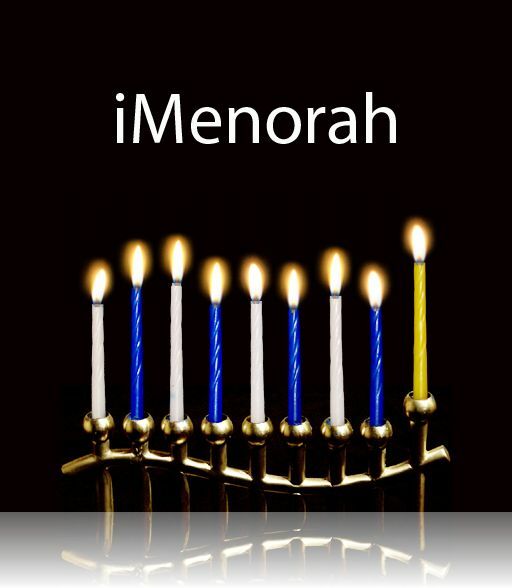 iMenorah - iPod / iPhone / iPad Menorah App available NOW on the iTunes App Store! For the Jew far from home! 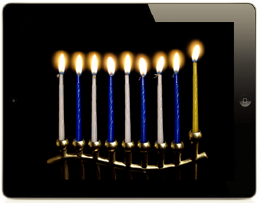 Take part in the ancient tradition of lighting the Menorah with this simple and beautiful application. Great for traveling, college dorms and kids! By downloading iMenorah and iMenorah HD, you are also supporting San Francisco's local community. In previous years, we have donated 10% of the proceeds to the JCCSF, and the San Francisco Food Bank.